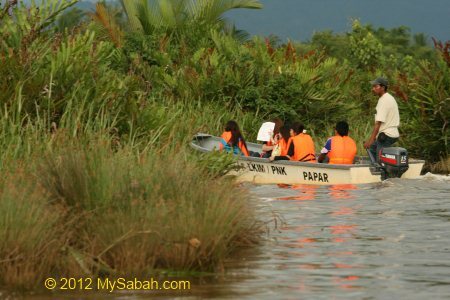 Two weeks ago I was on a river cruise trip at Bongawan River. 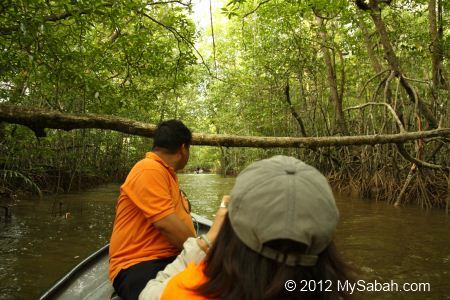 I was amazed by its pristine mangrove forest. So far it’s the only river cruise that let me see three mangrove zones, which have very different vegetation to one another. 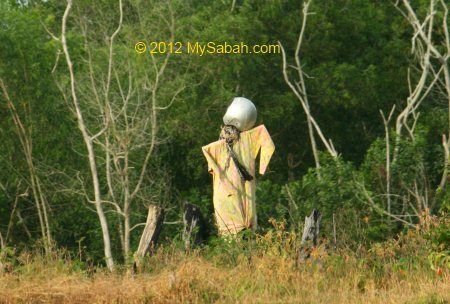 Bongawan is a small town about 70 KM away from Kota Kinabalu, the capital of Sabah, Malaysia. I was told that proboscis monkey is spotted in the mangrove forest of Bongawan, so I went there to have a look. Normally proboscis monkey gathers on the mangrove trees of riverbank in late afternoon, so we started our tour at 4pm at a jetty in Bongawan. 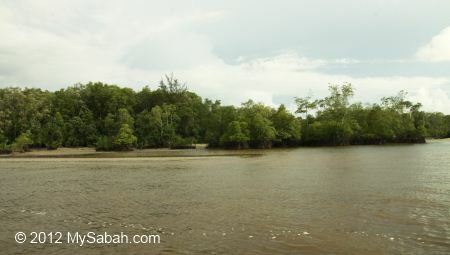 The Main Mangrove and Seaward Mangrove zones are at the left (Laut = Sea), Back Mangrove Zone at the right (KG. = Village), mainly the human settlement area. Below is the map of the jetty. Please note you need to book the tour in advance. 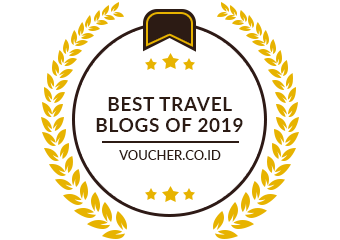 The starting point of the tour is a few KM from the sea, so the river is in normal yellow color. We explore the landward side first. 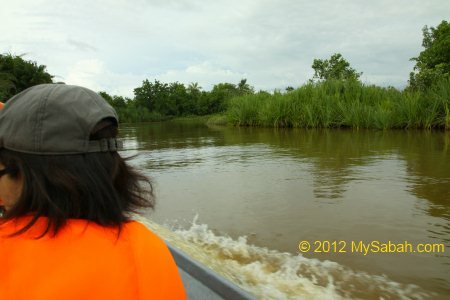 Everyone was looking for proboscis monkey, but I was having fun checking out the vegetation along the river. 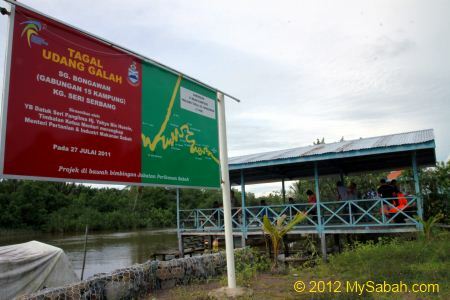 Many mangrove plants are useful for local community, for example, firewood, building materials, food, herb. Due to modernization, most people just buy stuffs and don’t collect what they need from forest. At the beginning, we already see the dense clump of Nibung trees (species: Oncosperma tigillarium), which indicates the transitional area between dry land and mangrove zone. 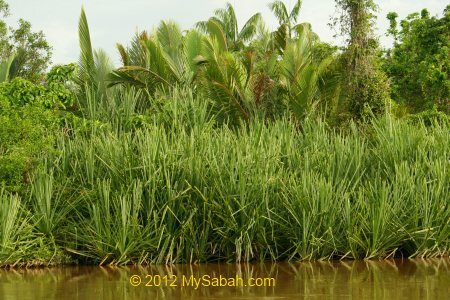 The wood of Nibung Palm can be used for minor construction such as furniture and poles for stilt houses. 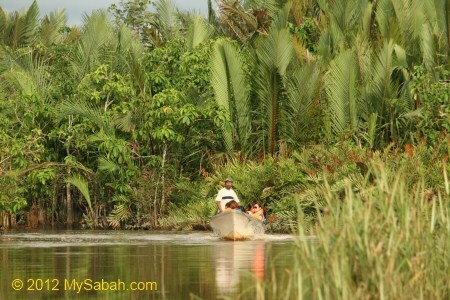 Then we see many Nipah Palm, which likes to grow on soft and fine-grained substrates in the Back Mangrove Zone. Its inflorescence produces sweet syrup, which is rich in sucrose and is used for production of sugar, vinegar and alcohol. The leaf fibers are great for making ropes, brushes and brooms. The fruit (atap) is edible and a popular dessert. The upstream dry land of Bongawan River is moderately inhabited. We passed by some villages and plantation. The density of mangrove trees here is relatively low. 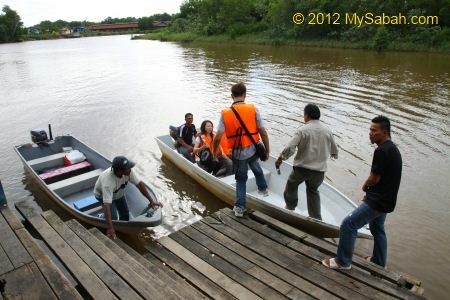 Same as car for city people, boat is important for villagers living next to river. 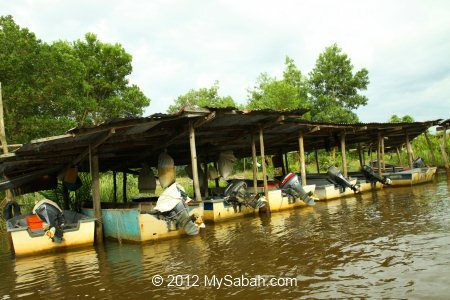 Almost every house has a “parking lot” for their boats. 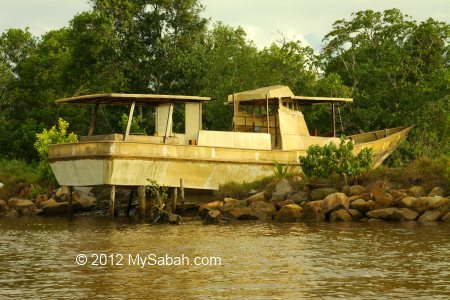 The boatman says this “junk” was used to be a RM200,000 luxury boat.. WOW! How and Why did it end up there then? We saw many fruits like above. 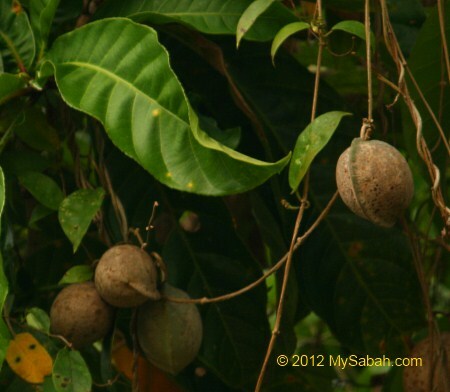 Not sure if it is the fruit of “Ketapang” tree (Terminalia catappa), which is edible. 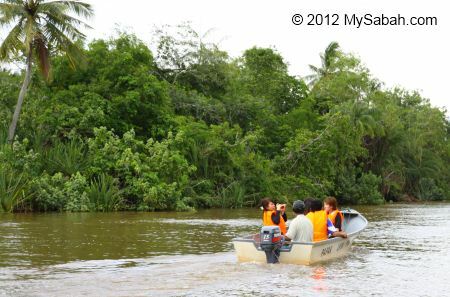 Then our boat enters a swampy area, which is dominated by dense water grasses and Piai Raya mangrove ferns (Acrostichum aureum). 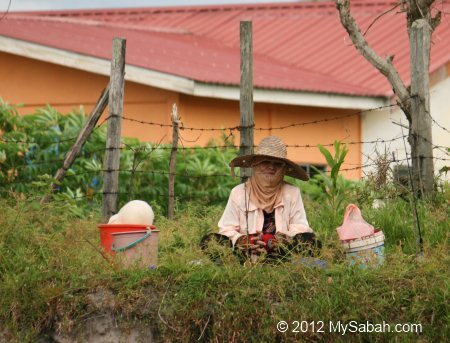 The mature leaves of Piai Raya fern are used for thatching and as fodder for cattle. The young leaves are eaten as vegetable in Indonesia. There are many “volcano moulds” built by the mud lobsters in this swamp. Mud lobster is a crustacean that looks like a hybrid of lobster and scorpion. It only crawls out of its burrow at night so it’s rare to see. Yes it is edible. Later we turned back to move downstream toward the sea. We found long-tailed macaque, monitor lizard and a few birds (Hill Myna, Dollar Bird, Blue-throated bee eater). 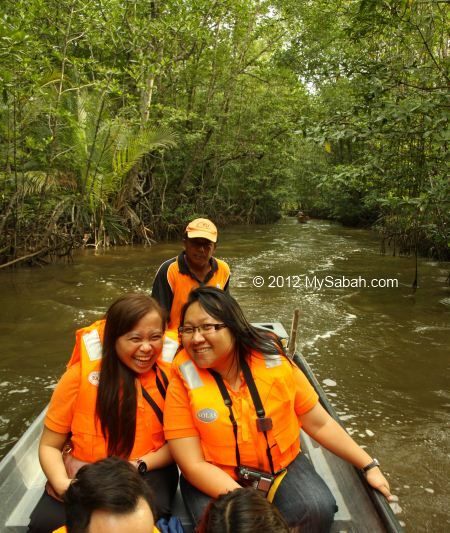 Now we are inside the Main Mangrove Zone, which has the most diverse and complex mangrove ecology. 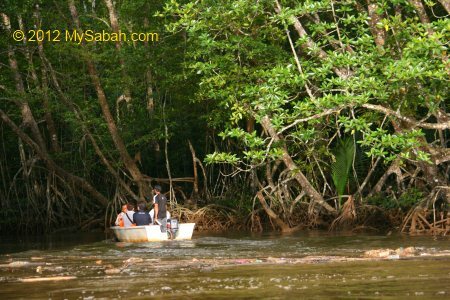 This zone is characterized by abundant mangrove trees of Rhizophora species such as Bakau Minyak (Rhizophora apiculata) and Bakau Kurap (Rhizophora mucronata). The water also turns brackish and we can smell mud (like mild rotten egg). 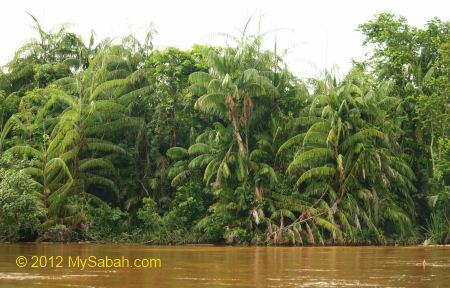 Bakau Minyak prefers soft and muddy soil of riverbank. The wood is a nice timber for making beams, furniture, firewood, charcoal and foundation piles. The mangrove trees of Main Mangrove Zone in Bongawan are in pristine condition. They are lush, dense and tall, some are more than 15 Meters in height. 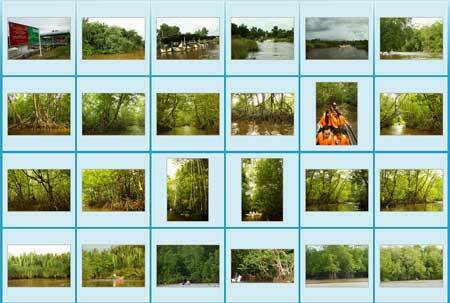 There are 52 true mangrove plants (purely live in mangrove) in the world. 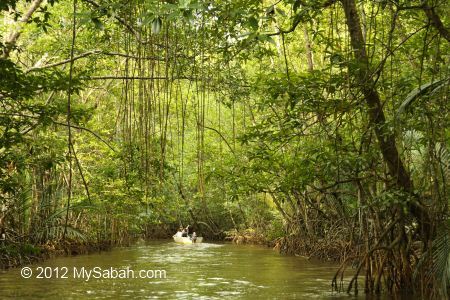 42 species are found in Malaysia, and 34 are found in Sabah. 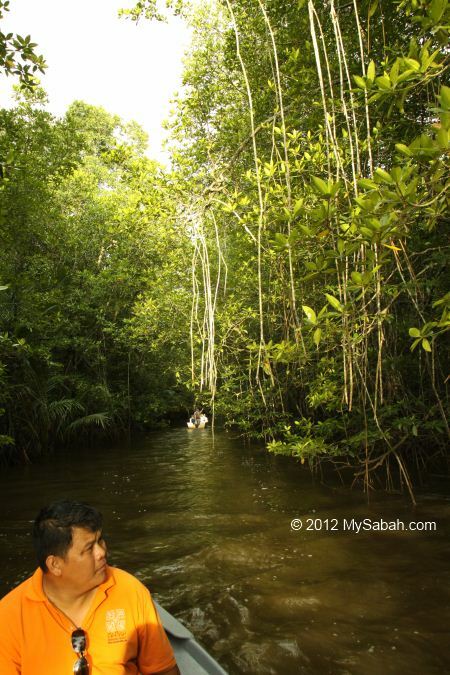 Malaysia accounts for about 3.7% (577,500 ha) of the world’s mangrove area. 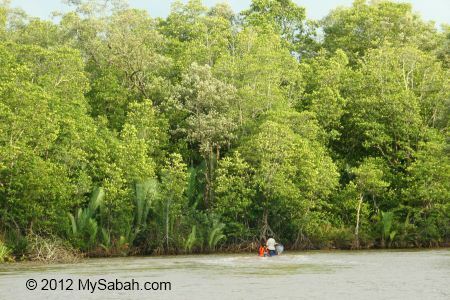 59% of Malaysian mangrove forest are in Sabah. 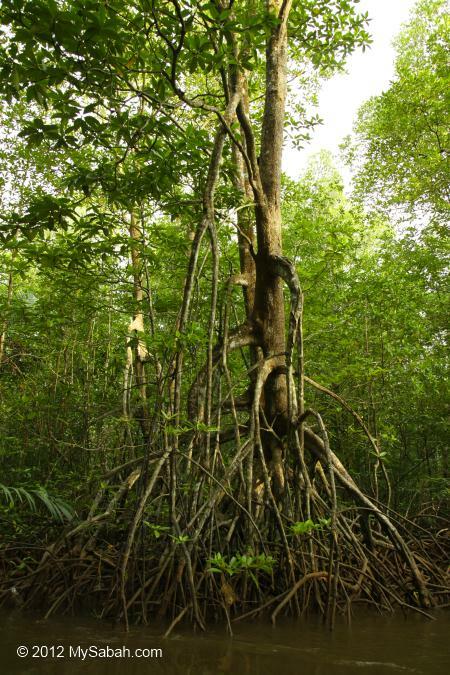 The mangrove trees with aerial roots are Bakau Kurap (Rhizophora mucronata). 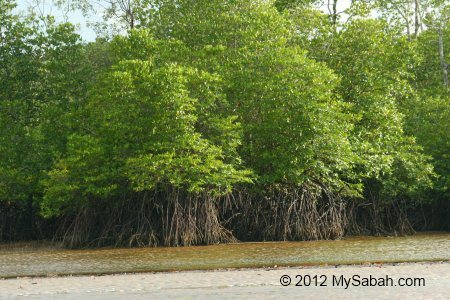 It is the most widespread mangrove species in the world. Its wood can be used for fuel and charcoal. The tannin from the bark is used for tanning and dyeing of fishing lines and ropes. Usually it is scattered along the riverbank, but here in Bongawan its density is very high. 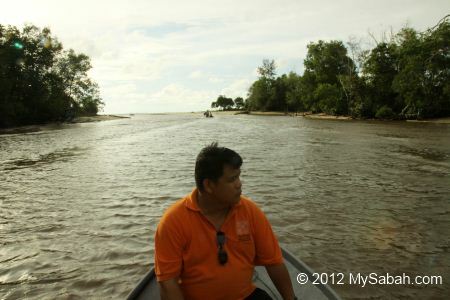 As we approach the estuary of Bongawan, we enter the Seaward Mangrove Zone. 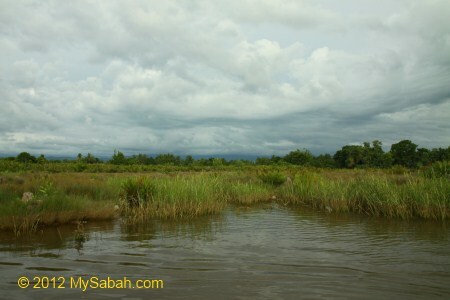 We exit from the estuary to the open sea for a while and enjoy the mangrove view of the coastline. These mangrove trees are important natural barrier that mitigates coastal erosion, tsunami and rising of sea level. 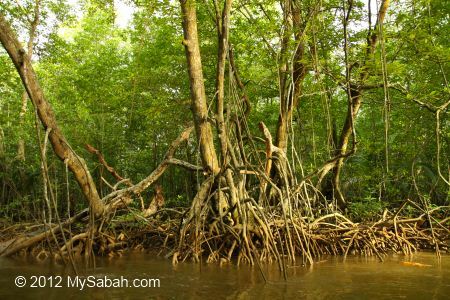 As mangrove trees grow on tidal zone, their bases are flooded during high tide. That’s why most of them have stilt roots that serve 2 main purposes: (1) to hold itself firm in muddy soil, and (2) to breathe air during high tide. We returned to the jetty around 5:30pm. Too bad we didn’t see any proboscis monkey. 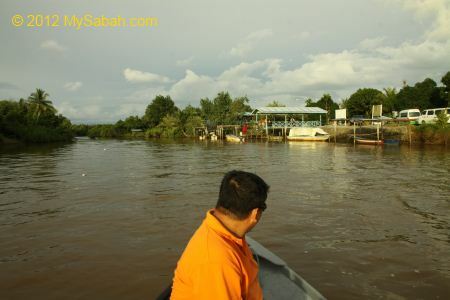 Anyway, I had joined other river cruises in south-western part of Sabah, but this is the first time I see Back Mangrove Zone, Main Mangrove Zone and Seaward Mangrove Zone in a day. For me, the flora is impressive, though the upstream area is pressured by development.